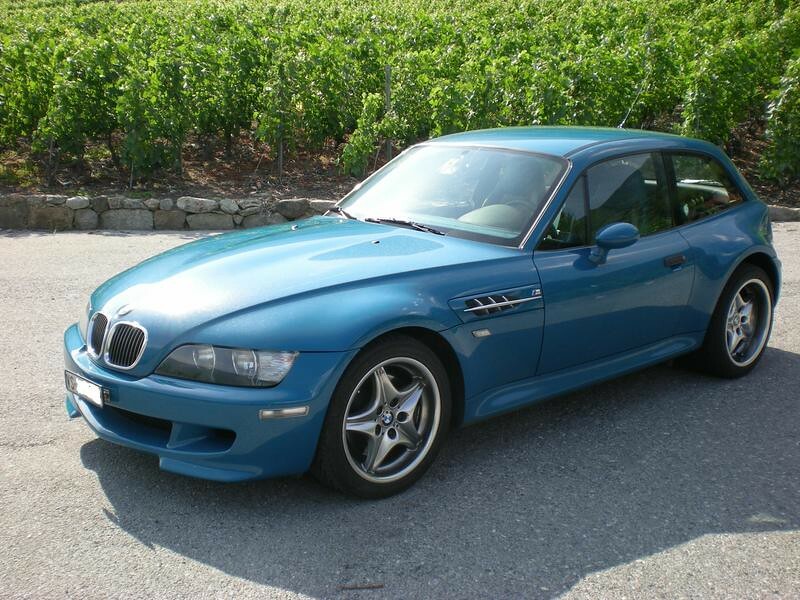 This M Coupe was posted on z3mcoupe.com by Foreign Andy of Monza, Italy. 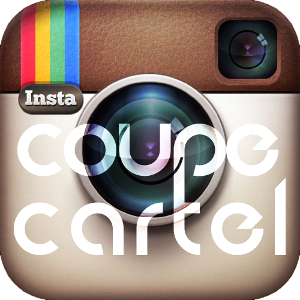 He purchased the Coupe from pistonheads.com, which I had posted in January of 2011. It’s a very nice looking, all stock Coupe, with only 28,000 miles! He was originally looking to buy an Estoril Coupe, but found this LSB Coupe and is glad he did. Good choice, Andy! 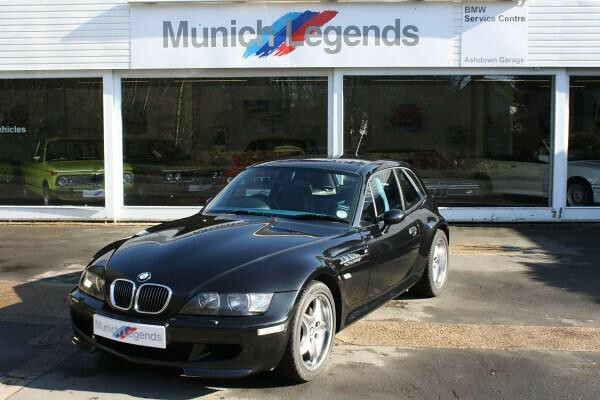 This M Coupe was posted for sale on munichlegends.co.uk in East Sussex, UK with 30,589 Miles for Â£19,995 (~$31,480 USD). With only 168 RHD S54 M Coupes sold, this is very likely the only one in this combo in the world. There were only two of 678 M Coupes produced in this combo for North America, both of which also have a sunroof. I think LSB looks really good with the black paint — a very nice Coupe indeed. The all stock Coupe appears to be in excellent shape, as it should be with such low mileage. 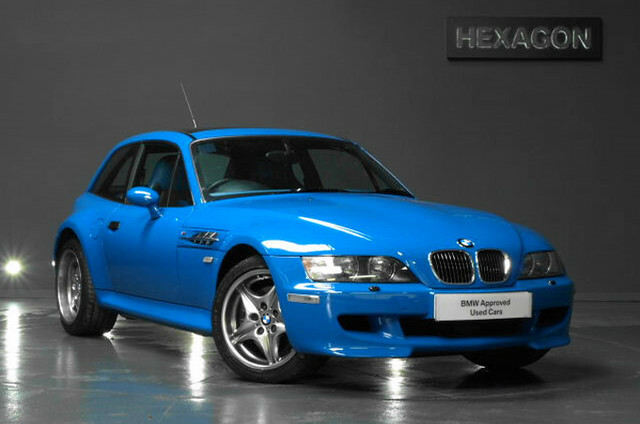 This M Coupe was listed for sale on hexagonclassics.com with 19,200 miles for £29,995 (~$49,460 USD). They actually have the Coupe listed as a 1992, which obviously no such car exists. I assume they mixed up their decades and mean 2002. 😉 Based upon the LSB paint and interior, along with the curved M badges, gray faced gauges, and Chrome Shadow Roadstars it is an 01 or 02 with an S54 under the hood. 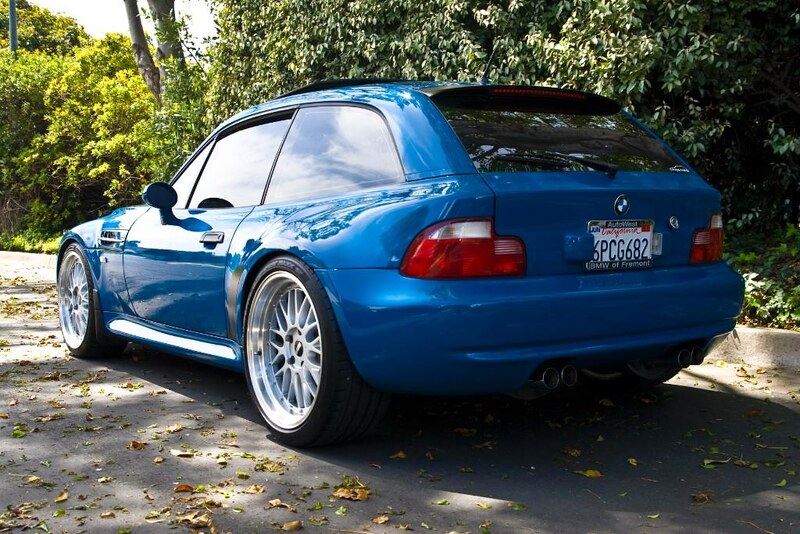 The M Coupe appears to be all stock. 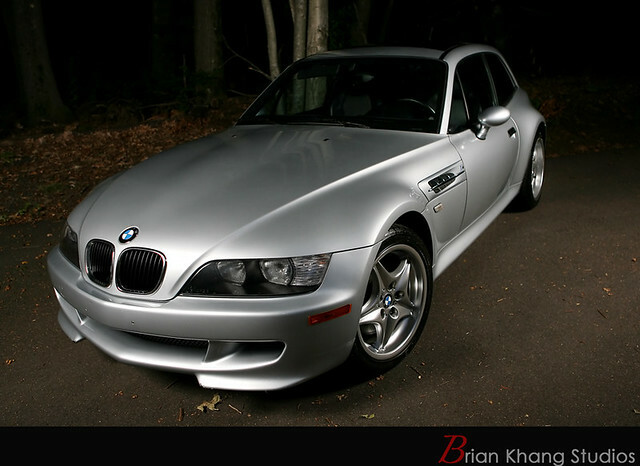 This M Coupe was posted on the San Francisco Bay Area Craigslist with 31k miles for $27,900 by E36UC of bimmerforums.com. The Coupe is very fairly priced considering it has under 31k miles (about 3k a year) and only 9 were produced like it.